Todd was born in 1962 - around the same time pop art began to flourish under names like Warhol and Lichtenstein. His work samples what others have sampled in the past, but with his very own unique twist. Whereas most artists take to canvas, Todd uses three-dimensional blocks that he constructs of wood. Much of Todd’s work is inspired by what great pop artists have sampled in the past. This includes Warhol’s soup cans and Brillo boxes, Lichtensteins’ cartoons and Indiana’s numbers. 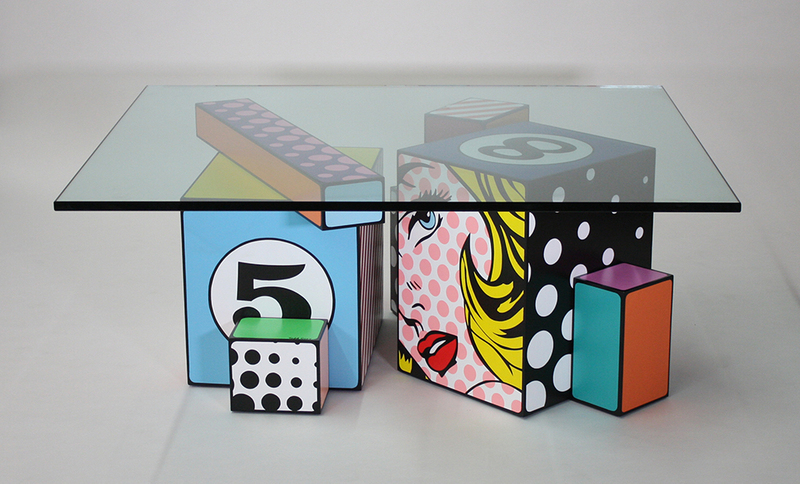 New Artist Launch…TODD GRAY…Contemporary Pop Art…Geometric cubes…Inspired by Warhol, Lichtenstein and other pop greats. New Artist Coming Soon…Contemporary Pop Art…Going outside the box…Welcome to colorful Colorado.